For lunch or dinner, stop by Anita, a restaurant that specializes in Italian cuisine. You can also grab snacks at the coffee shop/café. Breakfast is available for a fee. Enjoy Mediterranean cuisine at La Marina, a restaurant which features a bar, or stay in and take advantage of the room service (during limited hours). A complimentary buffet breakfast is served daily from 7 AM to 10 AM. 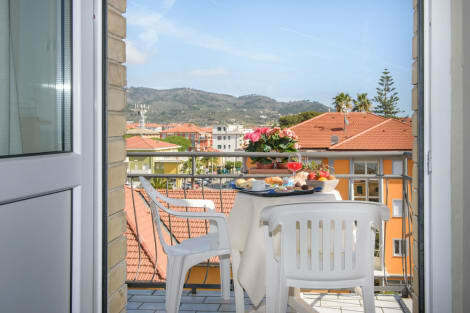 Completely renewed and facing the seafront, Hotel Delle Rose offers 27 comfortable and fully equipped rooms. The hotel features 2 halls, a lounge, bar, garden and solarium: you just have to chose your favourite relaxing spot. The beach in front of the hotel is equipped with deckchairs, which you can use upon request and at additional cost. The Delle Rose has an agreement with a parking lot 100 metres away. Accurate service, menu à la carte, fish specialities and Ligurian cuisine, all this is offered daily at the hotel's restaurant. Relax on the private beach or enjoy other recreational amenities such as bicycles to rent. This hotel also features complimentary wireless Internet access, concierge services, and babysitting/childcare (surcharge). 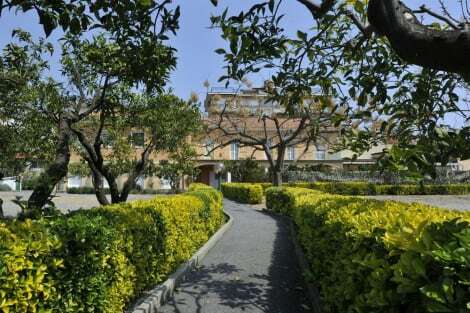 This lovely hotel is located in Imperia. Bellavista features a total of 16 accommodation units. This is not a pet-friendly property. When you stay at Residence La Meridiana in San Bartolomeo al Mare, you'll be near the beach and 5 minutes by foot from Sanctuary of Nostra Signora della Rovere. This apartment is 1.5 mi (2.4 km) from Diano Marina Port and 1.6 mi (2.5 km) from Molo delle Tartarughe. lastminute.com has a fantastic range of hotels in San Bartolomeo al Mare, with everything from cheap hotels to luxurious five star accommodation available. We like to live up to our last minute name so remember you can book any one of our excellent San Bartolomeo al Mare hotels up until midnight and stay the same night.